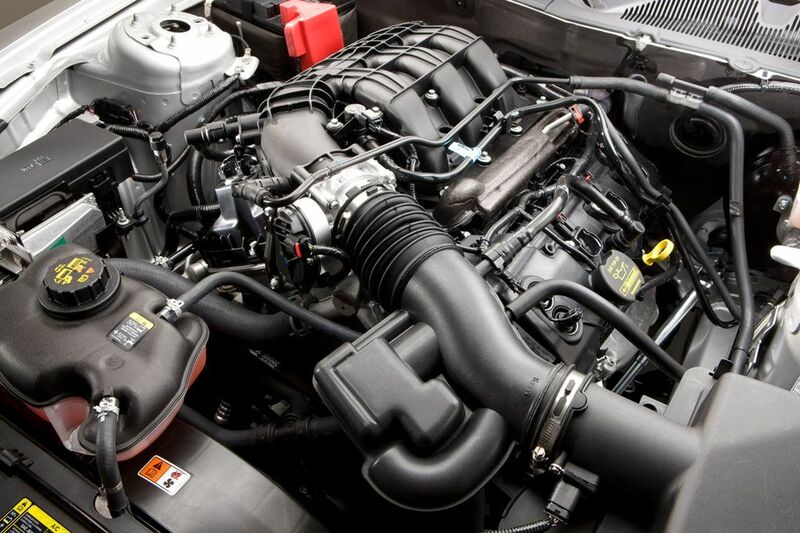 For 2011, Mustang's new 3.7-liter Duratec 24-valve V-6 uses advanced engineering to deliver its power and economy: Twin Independent Variable Camshaft Timing (Ti-VCT) adjusts the valvetrain in microseconds. Aluminum construction means light weight. It's an engine designed to crank out torque down low, rev to 7,000 rpm and deliver the mechanical music sports coupe lovers crave everywhere in between. "This new V-6 engine really speaks to what Mustang is all about," said Barb Samardzich, Ford vice president of global powertrain engineering. "It produces power everywhere in the rev range and loves to be pushed hard. 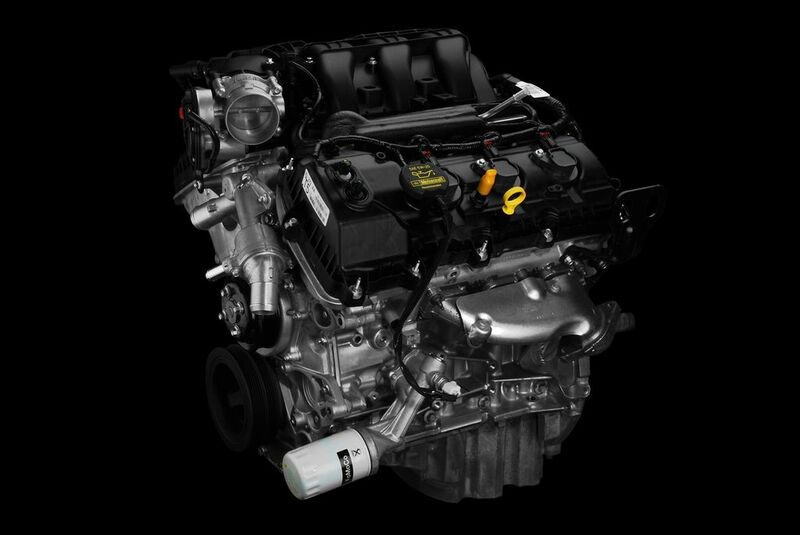 The Duratec 3.7-liter builds on our promise to use advanced technology to deliver both power and fuel economy." Engineers also worked to ensure aggressive, high-performance sounds come from the new engine, from intake to exhaust. Not only does the retuned air intake system minimize losses, it also provides the driver with a satisfying intake rush on hard acceleration. 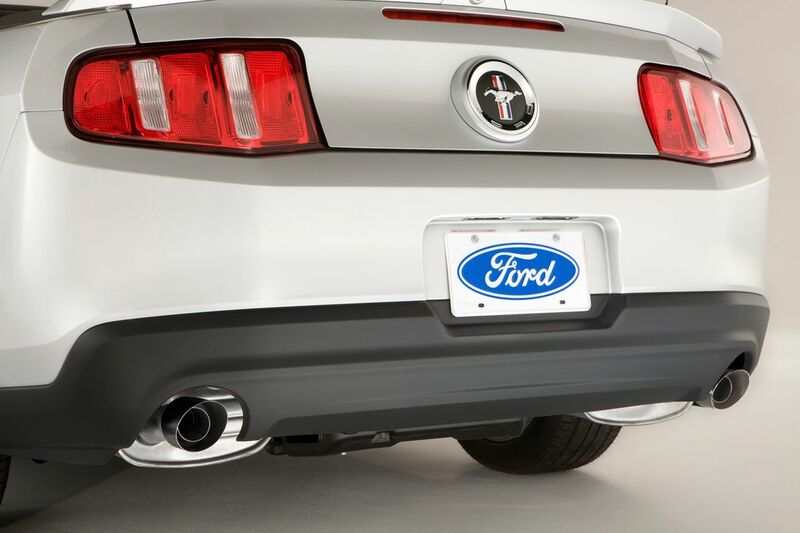 The all-new dual exhaust system is mellow at idle but opens up with a howl at full-tilt, letting Mustang drivers know they're behind the wheel of a world-class sports coupe. "This car marks a new type of Mustang," said David Pericak, Mustang chief nameplate engineer. "We're using a high-performance quad-cam V-6 with all the bells and whistles in a car that's become legendary for its handling and roadholding; it's really going to get a lot of new sports coupe fans excited about Mustang, some for the first time ever." The automatic transmission also features a grade-assist or "hill mode" to improve drivability on hilly terrain. This technical innovation uses vehicle input – acceleration, pedal position, vehicle speed and brake status – to automatically determine the correct gear ratio while on an incline or decline. Hill mode eliminates sixth gear, extends lower gear operation on uphill climbs, and provides additional grade or engine braking for coast downs. EPAS also enables new technologies that adjust for minor driving annoyances. Pull-Drift Compensation adjusts the steering to correct for crosswinds and minor road crowning, while Active Nibble Control helps eliminate the "shimmy" felt at high speeds when a wheel is out of balance or a brake rotor is warped. Both conditions are alleviated by EPAS independent of driver input, helping ensure Mustang delivers a smooth, comfortable driving experience in all conditions. For 2011, Mustang also ups the ante on technology and convenience features, including a standard driver's message center in the instrument cluster and integrated blind-spot mirrors in the side-view mirror housings. Ford's MyKey™ system, designed to encourage safer teen driving and safety belt use, also is newly available on Mustang. MyKey allows owners to program the vehicle key using the driver's message center to incorporate features such as limited top vehicle speed and audio volume, a traction control system that cannot be deactivated, a persistent Belt-Minder® safety belt reminder and various speed alert chimes. 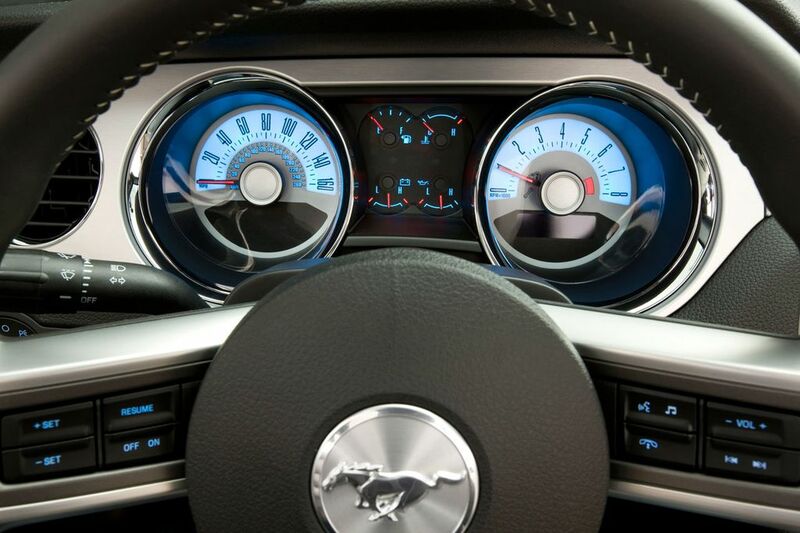 Mustang's technological advances are also incorporated in the structure of the vehicle to improve safety. The 2010 Mustang coupe earned the U.S. government's top five-star crash-test rating, a designation the 2011 model is expected to achieve. The Mustang's considerable body stiffness contributes to the coupe and convertible's driving performance and has a parallel benefit in accident protection. While the coupe's body structure is approximately 31 percent stiffer than the previous Mustang platform, the convertible's is more than twice as stiff – creating a structure that helps protect the cabin from deformation and intrusion in an impact. The front structure's crush zones are computer-designed to absorb energy in a controlled manner and help dissipate it before it can reach the passenger compartment. Ford engineers have run thousands of design iterations of the Mustang's front rails to arrive at an octagonal shape that helps spread crash forces evenly to aid in protecting occupants. 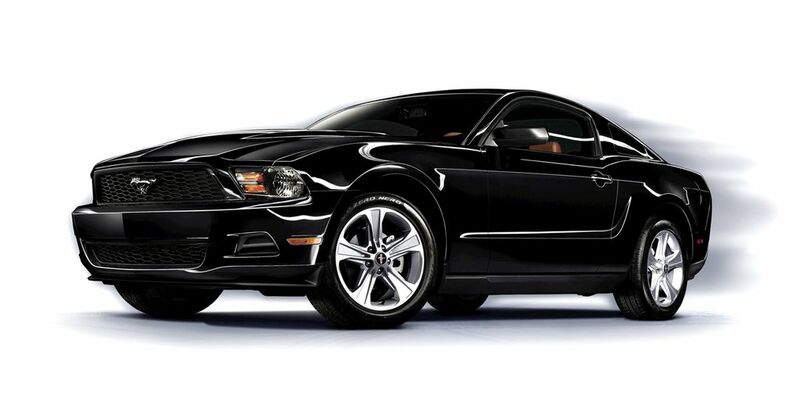 The 2011 Mustang will be built at the Auto Alliance International Plant in Flat Rock, Mich. The new 3.7-liter V-6 will be built at Ford's recently retooled Cleveland Engine Plant No. 1.